Recipes from Gail - Tried and Tested: James Martin, Rick Stein & Watercress! Caught a bit of the Great British Food Revival tonight which I've not seen before. James Martin was focusing on watercress and how UK sales of watercress have fallen by 50% - not sure in how long but obviously significant. 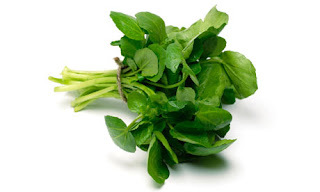 Watercress is actually one of the green things I like, my favourite way inspired by Rick Stein is mixed with crushed new potatoes and olive oil served with roasted Monkfish. 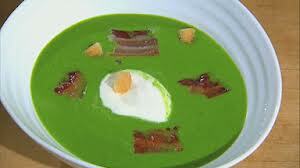 And here's James Martin's Watercress & Pea Soup - looks lovely!